As people become more used to shopping online, as well as paying most of their bills on the Internet as well they can become more than a little blasé about Internet security and the specter of on-line credit card fraud. Although consumers, especially those over a certain age, may have been cautious about making on-line payments in the beginning after they have completed a few transactions without any problems they become more confident – and in the process a little more complacent too. Here though are some simple tips you should always keep in mind when using your credit cards (and debit cards) online to help keep your account safe. When you first think about on-line credit card fraud you may immediately think about purchases made on your credit card if it is lost or stolen. And while this is indeed a problem there are plenty of ways you can fall victim to on-line credit card fraud without your card ever leaving your possession for a second. Unfortunately these forms of on-line credit card fraud can be the hardest to spot because it will often not be immediately obvious that anything is wrong at all. The most basic form of this kind of on-line credit card fraud is someone trying to steal your credit card information from you by tricking you into entering at a website that is not quite what it seems. This method comes in a number of guises and can effectively rob you of all your credit card information in the matter of just a minute or so and it may be weeks, even months, before you realize you have become a victim of on-line credit card fraud. Phishing has the potential to cause more damage from on line credit card fraud than perhaps any other suspicious and illegal credit card related Internet activity. In general phishing emails are messages appear to be sent from a company or site you trust and use, often on a very regular basis. The clever part about the most successful of these scams is that the message sounds perfectly plausible and often even more than a little urgent. For example you may receive a request in your email inbox to “confirm your account” that seems to be sent from a company like PayPal. 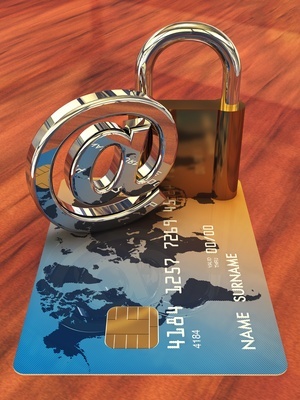 Alternately you may get a message that purports to be from a credit card company you do business with that informs you that the company has detected a potential security threat to your account and in order to be able to continue to use your card you have to confirm its details by following a certain link in the email. It all sounds, on the first read through at least, to make sense and often sounds very official and convincing. Of course, when you click on the link it leads to a fake landing page, often one that looks quite genuine, and once you have unwittingly entered your credit card information, giving the scammers everything they need to start using your credit card account for their own gain. To be completely safe you should simply make a practice of never clicking on such suspicions links in the first place. And even if you do, never share any of your personal or financial information at the site it leads to. Instead, close the email and go directly to the merchant’s site by entering the site in your browser address bar. If there is a problem with your account, it will be listed there. Alternately call the company involved. By doing so you may be able to help prevent more consumers from being scammed as the company may be able to act on the information that you provide and warn others about the fact that there is a phishing scam making the rounds. Setting up a great looking website is not at all difficult these days. No longer do you need to spend a lot of money to do so and you do not need to be much of a computer whiz either. Domain names are also very inexpensive and setting up a phishing or fraudulent website can cost a scammer as little as about $30 and take just a few hours to build. For that reason you need to be as sure as possible that the website you are shopping one is secure. In the 21st century sadly no site can be said to be immune to security attacks by hackers but there are certain indications that a site is as secure as possible. The first is in the website address of the site itself. Instead of beginning with an “http” a secure site will usually display an “https” instead, with the s standing for (of course) secure. This is not always the case though, especially with larger on-line merchant’s websites and you will have to look for other signs that the site is secure. A site that is secure should also display a small padlock somewhere on the screen (the location of this icon may change depending on which Internet browser you use). When you click on this lock logo further security information about the site should be displayed. This feature is usually a great indication that the site you are shopping on is secure. What many people do not realize is that their regular, non-shopping Internet surfing can put their credit card and personal information in danger of falling into the wrong hands. Something as simple as a small spyware program installed without your knowledge onto your computer’s hard drive can actually turn out to be what is called a keylogging program. Keylogging programs are a special problem in themselves. Once installed and running, secretly, in your computer system, these nasty little bugs can actually transmit your account numbers, social security number and passwords to the person who created the program, so that they can use that information for their own ends, which are of course not going to be well intentioned at all. The best defenses against this kind of security threat is to run a spyware detection software check on a regular basis and make sure you allow it to fix any problems it finds. You should also be careful where you download things from in the first place as these keylogging programs are often attached to things like free “toolbars” screen-savers and the like.